A beautiful Fall tablescape doesn’t have to be expensive! 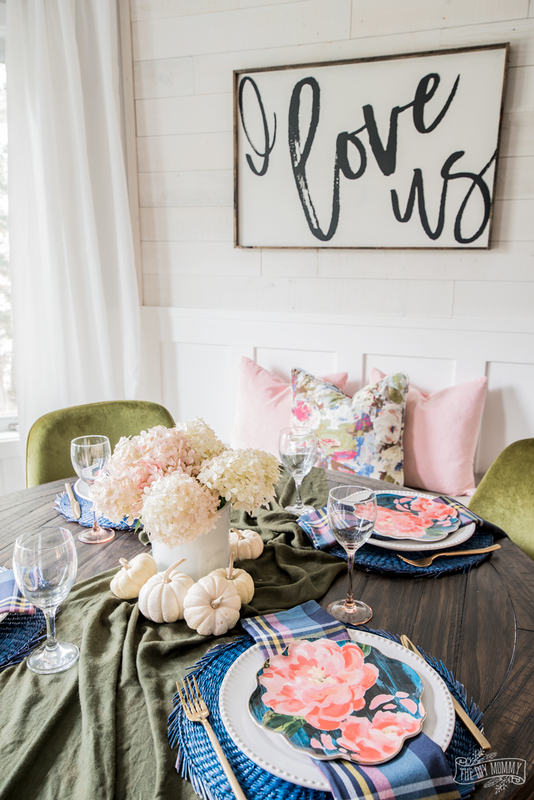 Let me show you how I combined things I had on hand with thrifted items, items from the grocery store and once little splurge to create a mix and match, elegant and colourful table for Fall. 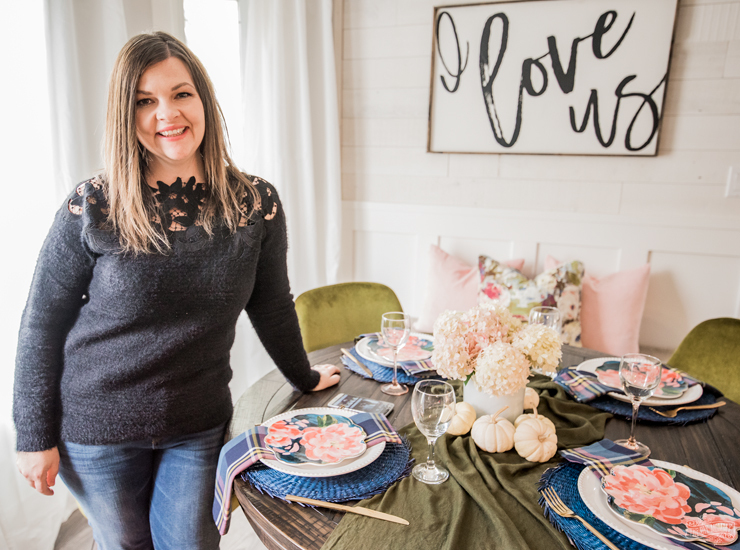 This post is part of a beautiful Fall tablescape hop hosted by Alicia at A Burst of Beautiful, so please make sure to check out all of the other gorgeous Autumn table decor ideas at the bottom of this post when you’re through! 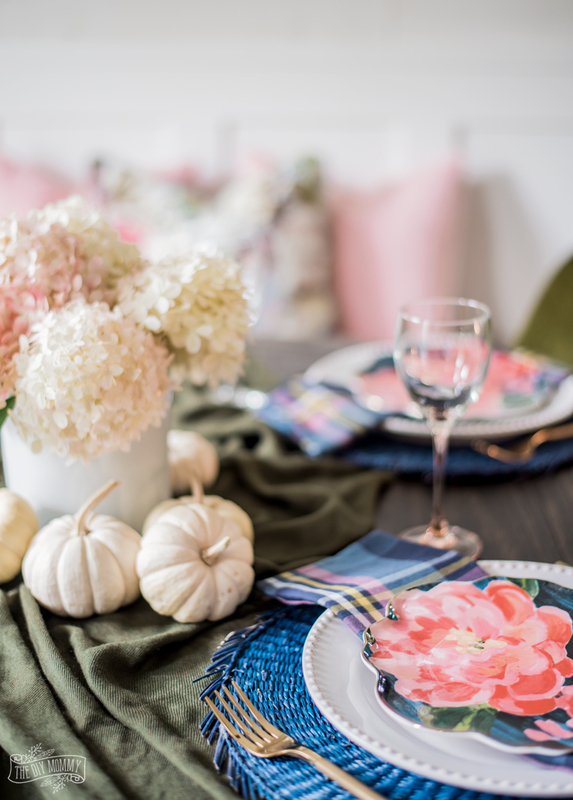 I love when things come together as good or even better than what I thought in my head, and that was the case with this elegant and colourful Fall tablescape idea. I just love how it turned out; it’s probably my favourite table yet! I had my eye on these lovely blue & pink floral side plates from Anthropologie for some time, and when they went on sale for 20% off I splurged a little and bought them. 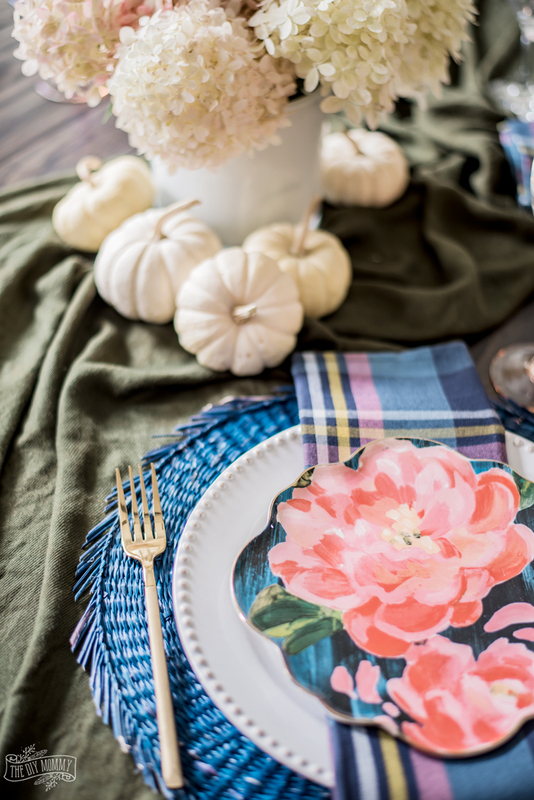 They were my inspiration for the colour palette of this table setting, and combining them with items I already had on hand, lower price items, and items from the thrift store made this Autumn tablescape very affordable. I layered these plates over some white plates and navy chargers I’ve had on hand for a few years, and accented them with what I thought was the PERFECT napkin in a pink, blue & gold plaid. 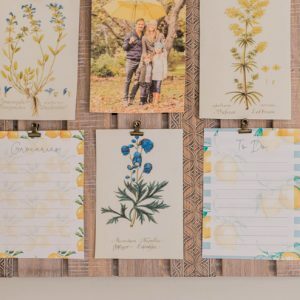 They’re from the Samantha Pynn line at Simons Canada, and I pretty much want all of her designs! The gold cutlery is a steal from Amazon, and I like how it matches the gold rim of my side plates and the golden stripe in the napkins. When I found these blush-bottomed wine glasses at Value Village for only $2.99 a pair, I knew they’d be perfect for this table! I mixed them with a couple of plain stemware, but I’ll be keeping my eye out for more of this set. This green fringed table throw is also from Value Village – it was a large, soft scarf for only $4.99. 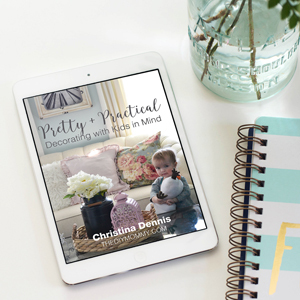 I love the idea of using a scarf or blanket as a romantic and draping table accent. Lucky for me, my beautiful Limelight Hydrangeas are in full bloom and just starting to turn a soft blush pink. 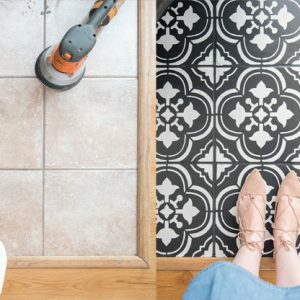 They were the perfect – and totally free! – centerpiece for this table along with some $3 baby boo pumpkins from the grocery store. I swapped my floral drapes out for some plain white ones so that the floral plates and DIY floral pillow I put on our breakfast nook bench could shine. 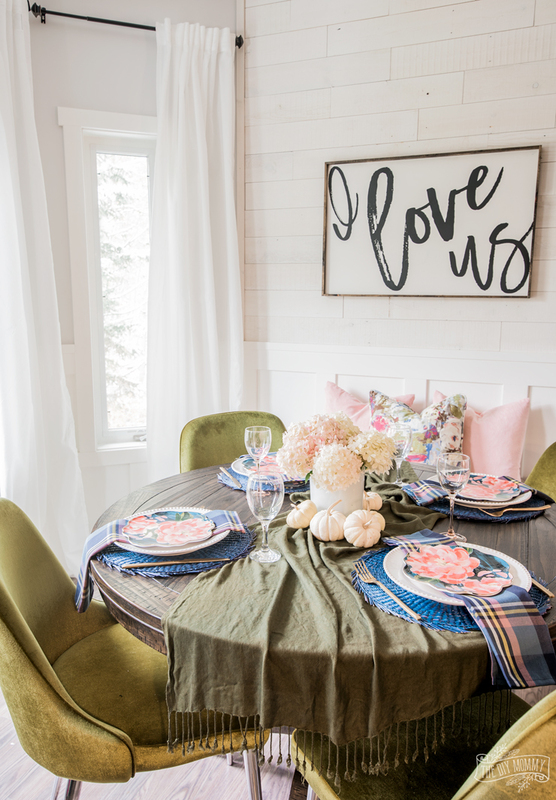 I love how all of these colours look with our table and green velvet chairs from The Brick, and this beautiful “I love us” sign was given to me by William Rae Designs (use the code THEDIYMOMMY15 to get 15% off their products on their website). 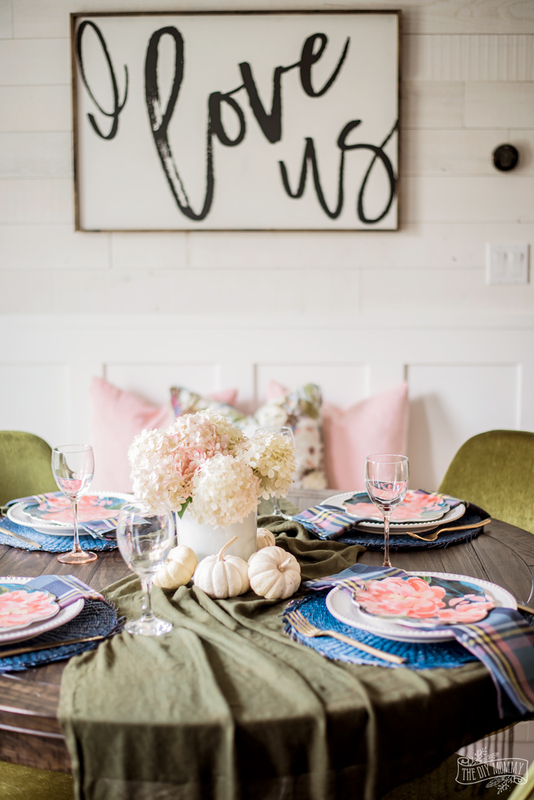 Now tell me: What do you think of this colourful Fall tablescape? 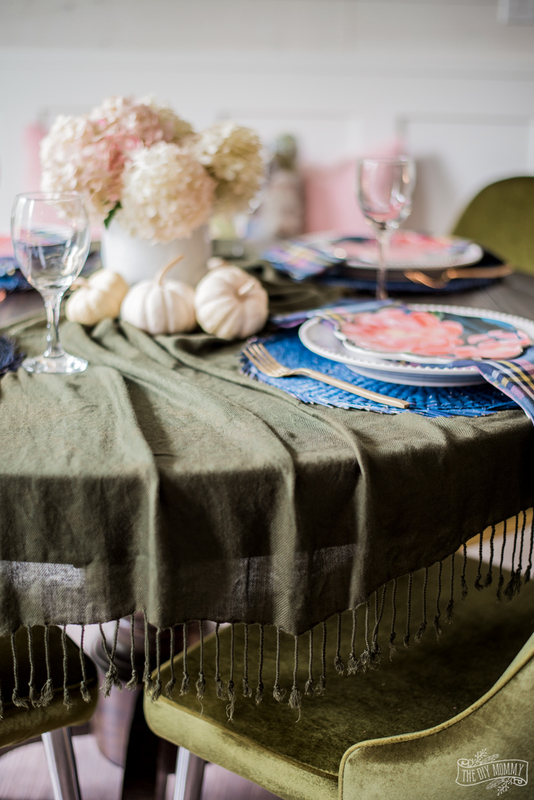 Ready for some more Fall tablescape inspiration? 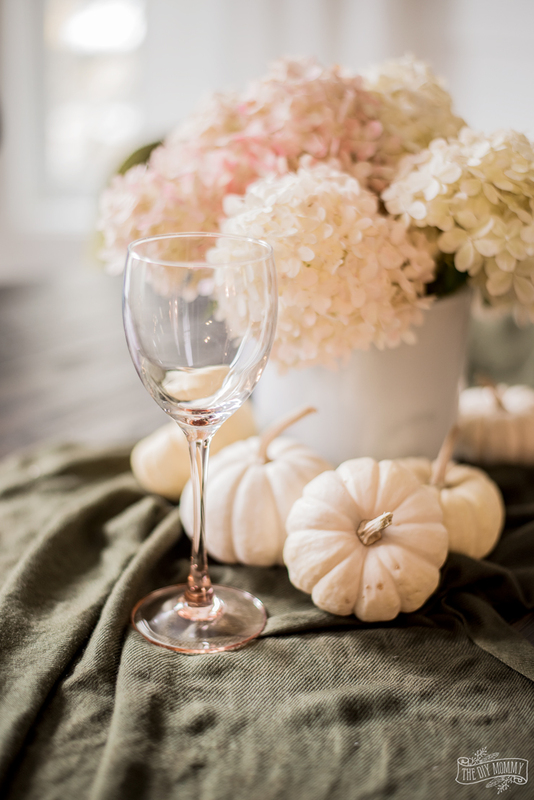 Come see these gorgeous Autumn table decor ideas from my blogging friends! 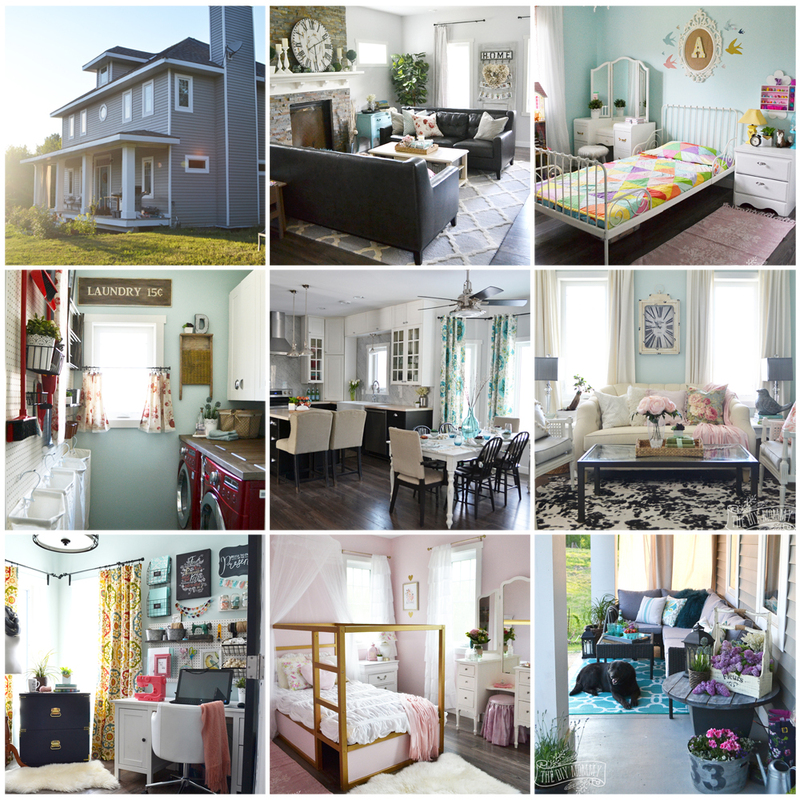 Disclosure: This blog post contains affiliate links. 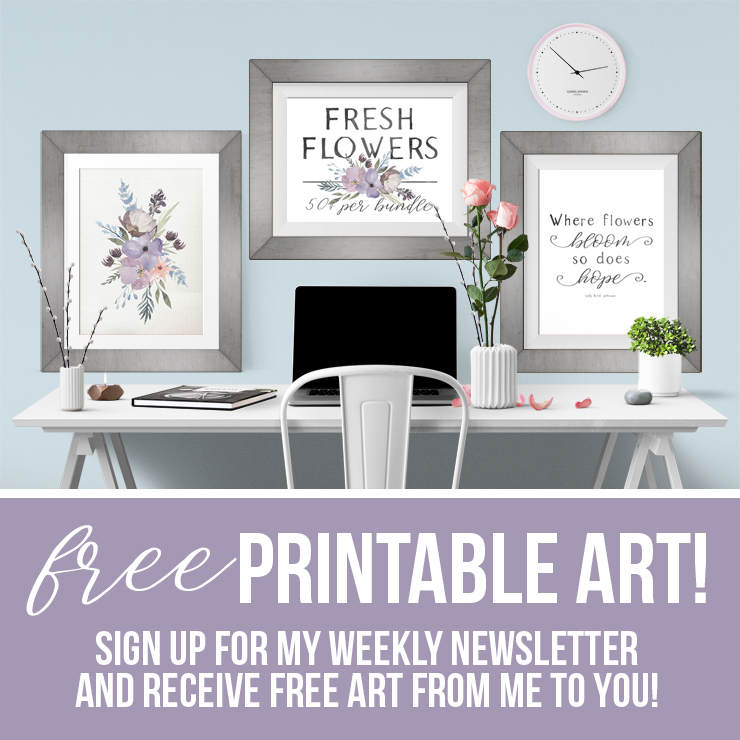 When you purchase an item via these links, I receive a small commission at no extra cost to you. What a clever color combination! This is perfect. I love every detail!